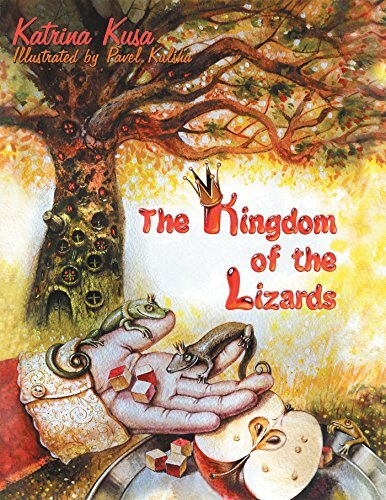 Inspired by her own observations of kids manhandling small critters, Kusa presents readers with the tale of Clara, who fosters a deep connection with a community of lizards that live under her favorite oak tree. When antagonist Daniel captures and threatens to harm the lizard kingdom’s leader, Clara embarks on a rescue mission to save her imprisoned reptile friend. A book written by a kid for kids, Kusa’s story provides a strong message for children of all ages. With colorful illustrations by Belarus-based artist Pavel Kulsha, Kusa hopes “The Kingdom of the Lizards” will entertain her readers and inspire other young authors to share their art with the world. Katrina Kusa is a seventh grader at the prestigious Royal Palm Academy and the recipient of the Florida Authors & Publishers Association 2017 President’s Book Award for juvenile fiction. Kusa, who is 12 years old, penned her first book, “The Kingdom of the Lizards,” at age 10, and has written two other books since. Passionate about nature and art, Kusa enjoys writing magical stories, composing and performing music and spending time with her parents and two tenacious Boston Terriers, Max and Penni. She also speaks Russian, Spanish and English and is currently learning French. Kusa resides in Naples, Fla. To learn more, please visit http://www.katrinakusa.com.